I had the opportunity to interview Arlene about her past, her ideas, and her plans for the USDAC. Our talk was fascinating: part tour through the history of arts activism and cultural policy, part critique of the mainstream art world, part hopeful vision for the future. Enjoy! Maybe you could start off by talking a bit about your trajectory through the field of community arts and cultural policy. I’m one of those people who always wanted to be an artist. When I was a little girl, drawing — entering the world of visual depiction — was an urgent necessity for me. It was the way that I created the world that I wanted to inhabit instead of the one that I lived in, which left a lot to be desired. I was a painter and a graphic designer, and until I was maybe 30 that was my primary mode of activism. I did a lot of posters and illustrations for movement organizations. I was involved primarily in the peace movement, but also did work for civil rights and human rights movements. That thing of using your skills as an artist to help various organizing campaigns — that’s where I started. Then, in the mid ’70s, across the country there was a big upsurge in arts activism. Some of it was critical activism directed at arts institutions and funders. I was an organizer for the San Francisco Art Workers’ Coalition, and we did a lot of work bringing socially conscious artists together around issues of funding and representation and control of that city’s publicly supported arts institutions. There began to be quite a lot of organizing work in which artists took the lead, and weren’t just adjuncts to somebody else’s campaign. I think that a lot of us had the insight that the same social, economic, and power relations that we had been struggling with in other sectors were true of our sector as well. I was doing a lot of work around the People’s Bicentennial — a huge alternative organizing effort that happened all across the country on the bicentennial of the American revolution — when the governor of California, Jerry Brown, completely wiped out the old California Arts Commission. He replaced it with the California Arts Council with cool people on it like Gary Snyder and Ruth Asawa and Peter Coyote. Peter, who was a friend of mine from San Francisco, invited me to come to Sacramento and set up a technical assistance and organizing program under that umbrella. It was called Cultural News Service. Much of it was practical support for artists like how do you do finances, how do you do planning, how do you have a public meeting, how do you disseminate your work. We had small grants program as well. 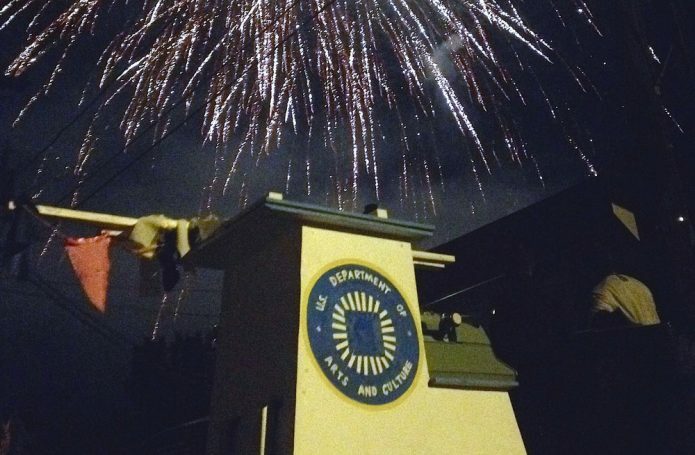 Then that crashed and burned as a casualty of a conflict between state control agencies and Jerry Brown. I moved on after a little while to a group called NAPNOC, the Neighborhood Arts Programs National Organizing Committee, which changed its name later to the Alliance for Cultural Democracy. It was a national network of community-based arts organizations started by Eric Reuther, whose family was so seminal to the organizing of the United Auto Workers. It was a time when a lot of public money was being invested in creating job programs, and CETA, the Comprehensive Employment and Training Act, was created, a public service jobs program at the federal level. Some people had the bright idea of making those jobs available to artists doing community work, so Eric took advantage of that moment and his family’s roots in labor organizing and convened a meeting at a labor center in Black Lake Michigan. He got from the Department of Labor a rather large grant to set up several offices around the country and help people use the CETA money to employ artists in different ways. My then-partner Don Adams and I were asked to take over the national leadership of that. It all coincided in a very unfortunate way with the election of Ronald Reagan, who ended these programs overnight. But we went to Washington and became national organizers for this movement. We didn’t invent the concept of cultural democracy; that has long roots. But we did a lot to popularize it, and we did a lot to bring people who were working at the grassroots level into a discussion about cultural policy, which hadn’t really been much of a topic. We had supported all of this work that we were doing with consulting and research in the areas of cultural planning, organizational development, and cultural development. We came back to California and continued that, and I switched my personal interest from painting to writing. I’d given a lot of speeches and written a lot of articles, and always thought of them as being something on the side. And then I realized, “No. Words, that’s my medium.” During this time I co-wrote and published a book of essays called Crossroads: Reflections on the Politics of Culture. Around 2000 my partner and I got a series of contracts with the Rockefeller Foundation, including a commission to evaluate a community cultural development program called PACT: Partnerships Affirming Community Transformation. What they wanted was not just an evaluation. They wanted it to be contextualized in the history and values of the field. So we wrote a report, and then they published the contextualizing sections as Creative Community: The Art of Cultural Development. 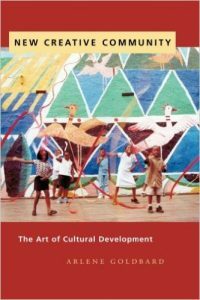 Years later Rockefeller gave me back the rights and I revised that book and New Village published it as New Creative Community, which is probably the most used book I’ve written so far. It’s used as a text in many university courses. That book was certainly how I was introduced to you, and when I think of the term “community cultural development” I think of you. I’m curious: Where did that term come from? Who introduced it to you? Was that the term that was used at the time? No, it wasn’t. Mostly people said “community arts,” which was very confusing because all the local arts councils called themselves community arts too. About the time I went to the state Arts Council in Sacramento, I was introduced to UNESCO cultural policy studies, and it was like a whole world opening up. 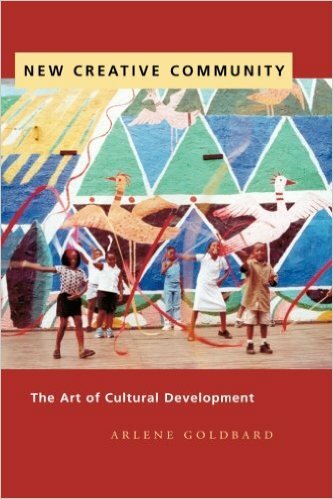 I remember reading the new cultural policy for Sweden for the first time and thinking, “Oh my god, there’s a totally different way to look at this.” So “community cultural development” was more in use in Europe and elsewhere abroad. We decided to use it because everything else was weak or too specific. We also wanted to make a distinction (even though it’s somewhat problematic) between people who are making art in conventional modes around social issues, and people for whom the first-person embodied experience of making culture is the organizing technique. We wanted to distinguish community cultural development from people who didn’t have a commitment to collaboration, mutuality of leadership, social justice, and participation. But it’s bad. They’re all bad. There isn’t a single good term to describe it all. “Social practice” seems to be winning the fight now for nomenclature triumph. It really pisses me off that that phrase has traction, just because it’s rooted in established arts institutions like museums and art schools and so therefore has had a much better distribution system, much better branding. I agree with Rick Lowe when he says that social practice is the gentrification of community arts. It’s a largely White phenomenon, and the people who practice it are seldom actually rooted in the communities they’re working with or co-directing the projects with people who are rooted in those communities. While there are some social practice people who are good on all those scores, there’s a large number who are deploying the methods of community arts but not the values, not the liberatory social justice reasons to deploy the methods — and without acknowledging where they come from. 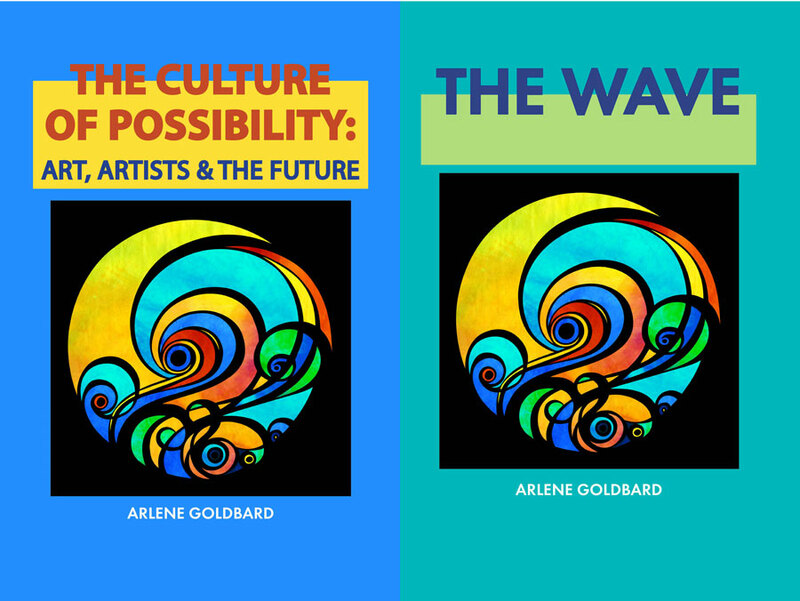 In your recent book, The Culture of Possibility, you talk about how you shifted from researching and working with community arts groups to a new role as public spokesperson for the field. Could you tell me about how that transition took place? Part of it was a personal thing. I realized that writing is my instrument, that’s what I want to do. I’m asked to do public speaking a lot, which I love, and its always a really interesting challenge for me to try to say something that helps people break open whatever their embedded assumptions are and see freshly. It also had to do with the fact that I felt I could take the emotional and political risks of saying things that are sometimes hard for people who have something to protect. For example, many of the projects I’ve done over the years have had to do with racial justice and it’s always been really important to me to stand up and speak as powerfully as I can about racial justice. As you know, that’s a task that is often left to People of Color as if it was their problem, but obviously White supremacy is our problem. So I don’t know if I’m a spokesperson for anyone else, but when I talk about cultural democracy and community cultural development, I know I have a lot of experiences having people come up to me and say, “OK, now I have the language to understand the impact of what I’m doing.” That makes me feel amazing. 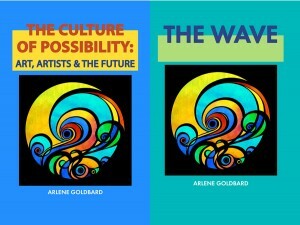 In The Culture of Possibility and The Wave, you write about a new moment, a Zeitgeist, in which people are coming to realize the importance of culture. It’s one of the most hopeful books I’ve read in a while. Where did this idea come from? People always tell me I’m optimistic. I always rejected that because I thought optimistic meant I know how the story will end and that it will have a happy ending. And, of course, I don’t have the vaguest idea how the story will end. But then I came to the understanding that to be optimistic means you see possibility. And that’s hard-wired into my character. I came from a really challenging background, and in many ways I see myself as a self-made person. So the desire to make whatever you can out of the broken pieces you were given is in my DNA somehow. It seems intrinsic to what Abraham Joshua Heschel has called the “moral grandeur” of the human subject. People like the National Endowment for the Arts keep complaining that we’re not selling as many tickets to the symphony, or what the major cultural institutions call the “greying of the audience.” Well, for those older Eurocentric forms something is changing. But in terms of the feeling that “I can make culture,” something is changing in the other direction. People are so engaged in making their own videos now, there’s all this participatory dance competition, this proliferation of community singing, this complete upsurge in hands-on crafts like knitting — what they call the informal arts. There’s a widespread feeling that the way that the old order has organized the world is not working for us anymore. Everyone hates it. The question is whether people think its inevitable or whether there’s a possibility of changing it. So there’s a tiny little lever you can push to change everything, and the lever is to recognize that, no, this isn’t timeless. This isn’t eternal. This isn’t the real right way to do things. This is a historically grounded set of choices that has resulted in something that’s gone off the rails. And it’s not that hard to change. Although you talk about the arts in your newer books, you’re main focus is culture. How would you summarize your key argument about culture? For some time, culture has been a central arena in which we work out identity, we work out shared values, we find out how we feel about the important questions of the day. All of this is being communicated in films and videos people are making, in their music, their writing, in all the many ways that the digital universe has increased our capability for generating material. But for the people who are still stuck in the old paradigm, this is not visible. They think the real important stuff is happening somewhere else, in the movement of money and numbers and laws and regulations, the “hard stuff.” They’re not really giving what’s happening in the cultural realm its true meaning and value. And because of that they have a distorted understanding of where we are as a global civilization and what the possibilities are. So if I had to make one point, the point I would want to make is: open your eyes, question your assumptions, look at what’s been going on in the place you are not looking. That’s why culture is so important to me. It is the right word, not art, to define that arena in which all these signs, symbols, codes, and other ways that we convey this kind of information is swirling around. If there was one thinker who has had the most influence on me it’s Paulo Freire. Freire writes that it is language that makes the world, and by speaking truth you become a subject of history instead of its object. For me it’s a straight shot to saying it’s culture, not just language, that makes the world. What will it take to push forward this alternative way of looking at the world in terms of a real shift in priorities? I’m not sure, but two different answers arise in my head. There’s this story in the Bible about how the children of Israel had to wander around for 40 years before they could enter the promised land. If somebody actually shows you a map of that part of the world you can see by the names where the area was, and it wasn’t any bigger than Chicago. It was like wandering around Chicago for 40 years. Why did they have to do that? What the Midrash—the oral story tradition around that—says is that the generations that were born into slavery had to die out before they could appreciate what it would be to live free. So when you say what will it take, I think one thing it’s going to take is time. The guardians of the old paradigm are mostly in older generations now, and that consciousness will literally die out, and the other consciousness will take its place. Because I don’t think you really make a paradigm shift happen. You stand aside, you try to give it a little nudge. The other thing is that we really need a big public dialogue. A lot of people who don’t think of themselves as being into “art” have to start understanding what an important arena culture is for bringing about the future that we want. A project that you and I are both involved in, the U.S. Department of Arts & Culture (USDAC), has that an underlying goal. We are explicitly making a statement about the importance of culture, and we’re having some success at engaging people who aren’t artists themselves, so that feels encouraging. Maybe you could say a few more words about the USDAC and how it fits into this paradigm shift. The USDAC is structured to work on two different levels, and to have a constant flow of engagement and information between them. On one level, at the grassroots, we’ve been working with volunteer Cultural Agents creating “Imaginings” around the country — art-infused community dialogues that help people envisage their future say 20 years from now, and now we’re shifting to Regional Envoys, who organize in multi-state regions. And then we work on nation-wide community actions like USDAC Super PAC and the People’s State of the Union. Then, on the national level, we have the USDAC National Cabinet, of which you are a member. The Cabinet’s role is to help transmute what we’ve learned in the aggregate at the grassroots level into elegant, accessible, hopefully viral proposals for policies and interventions, along with actions that can make these proposals real. Those propositions at the national level should give aid and comfort to the local level, where Cultural Agents and thousands of Citizen Artists can integrate them into their on-the-ground experience, and then send that experience back to the Cabinet, and so on. What we’re trying to do is community-envisioned, or crowd-sourced, cultural policy, which is a new paradigm for cultural policy. We think we can get some traction because, unlike abstract policy, which emerges from discourse among experts, this really relates to lived knowledge as much as to expert knowledge. This October, the people-powered US Department of Arts and Culture (USDAC)*, in partnership with Cultural Organizing, is launching a nationwide action called #DareToImagine. We are looking for your help. 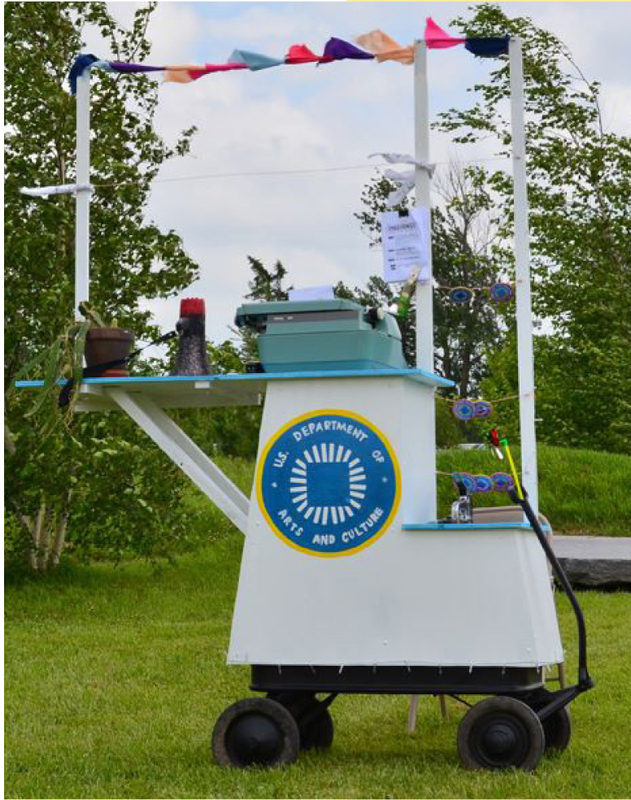 From October 10-18, 2015, Emissaries from the Future will create Imagination Stations nationwide, popping up in parks, classrooms, galleries, conferences, farmer’s markets and beyond for this large-scale act of collective imagination. Using creative tactics, Emissaries will engage people in envisioning the world they hope to inhabit and—looking back from the future—celebrating the work they did to get there. The resulting texts, images, videos, and more will be uploaded to an online platform, yielding a crowd-sourced vision of the future, inspiring art, policy, and community action. In these times, exercising social imagination is a radical and necessary act, shifting dominant narratives and affirming that all of us make the future. Too often, we’ve been persuaded to believe our voices don’t count or that the future is determined by a powerful few. But when we have the audacity to dream in public, when we begin to unleash imagination and turn it into action, we can move the world. As an Emissary, you’ll invite people to imagine the world they wish to live in, then help them connect imagination to action. It’s creative, fun, and effective. Emissaries receive a free step-by-step toolkit full of creative activities and tips, access to online training and 1-1 assistance, and the opportunity to put their Imagination Station (and all that it yields) on the map, connecting local visions to a national dialogue. You can sign up** to host an Imagination Station as an individual or as a group/organization. The future belongs to those who #DareToImagine. ** The deadline to sign up for this action is September 10, but we encourage you to sign up now so that you have ample time to plan for awesomeness and impact. What does an act of collective imagination look like? 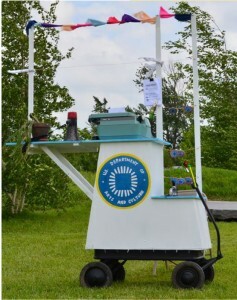 This past summer, the people-powered non-governmental US Department of Arts and Culture (USDAC) launched an array of creative “imaginings” across the country. Run by the USDAC’s newly-minted cultural agents, these events brought together artists, organizers, and community members to build shared, creative visions for the future of their neighborhoods. Below is a new video sharing some of the fun! 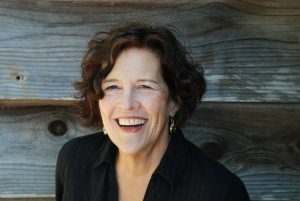 Recently, the US Department of Arts and Culture — everybody’s favorite people-powered non-government department — announced its first set of founding cultural agents. As I wrote in a recent post, the USDAC is a grassroots effort to support “universal access to empowering creative experiences that build empathy and social imagination” across the country. 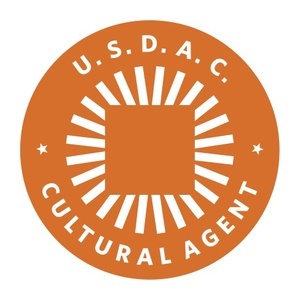 Launched at the 2013 Imagining America conference, the USDAC seeks to build a network of artists and cultural workers dedicated to community development and the right of all people to take part in the cultural life of their communities. The USDAC is meant to live in the world not just as a button or an idea but as a community of practice taking action together to create a more vibrant and equitable society. Today, we are marking a truly historical moment for the fledgling department. A moment of landing, and of take off. A moment in which this act of collective imagination extends from language and ideas to real on-the-ground action. See the full list of cultural agents, and link to a video of the event, by clicking HERE. This is just the start. If you’d like to get involved, you can sign up as a “citizen artist” and maybe get connected to an imagining in your area. Many artists and arts educators talk of tying art making to social change. Often this is explained in terms of “empowerment” — empowering youth, empowering communities. This rather vague term can refer to anything from building artistic skills to increasing confidence to helping people find their “voice.” But usually absent from the discussion is any deep talk about power — what it is, how it is built, and how it is confronted. We often end up making social change seem warm and fuzzy — all building relationships and skills and community, with little focus on conflict, resistance, or confrontation. If we really want to make change (and I believe we do) we need to talk about power. The current state of things is defended by people and institutions with enormous amounts of power. That power must be understood and confronted for any change to happen. It’s messy, and risky, and might scare off some funders, but is absolutely necessary. When involved in art making for social change, we first of all need to understand what we are up against: What people, institutions, discourses, etc. are maintaining the status quo? What sources or types of power do they have? Where is that power weakest? How is is best addressed — confrontationally or relationally, overtly or covertly? And at the same time, what sources of power do we have? Where are we strongest? What kind of power do we need to build? What kind of resistance might we face? To do this kind of power analysis in an artistic space requires broader understanding of power than we sometimes have. Power lies not just in political influence or money or mobilizing large groups of people, but also in the stories that are told about us and our communities, in the stereotypes that trap us, in the withholding of information and a censoring of history.